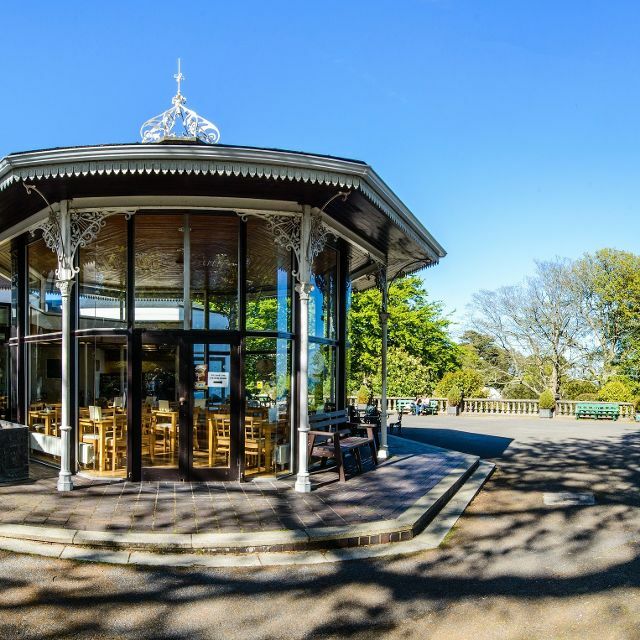 Café Victoria in Candie Gardens offers a relaxing atmosphere and great food in a fabulous setting, and is accessible from the Guernsey Museum and Art Gallery. We have outside seating which makes the most of our amazing views and you are able to access the café without entering the museum. Our menu offers light lunches prepared on the premises and home-made cakes. If you are a vegetarian or on a gluten-free diet we have also options to tempt you and as licensed premises you can also enjoy a glass of wine or beer with lunch. 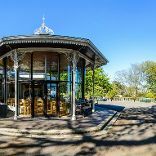 The Cafe is housed within a cast iron Victorian bandstand linked to the Museum. Its glass windows and terrace tables offer stunning views over the harbour to Herm, Sark and beyond. Most Sundays throughout the summer, you can also enjoy live music performed on the terrace, courtesy of the Town Centre Partnership.